BRISBANE icon Customs House has expanded its event offering with the official launch of cocktail party space The River Room. Once a part of the Queens Warehouse, the brand new space flows seamlessly out onto the waterfront terrace, making for breathtaking backdrop to any occasion. 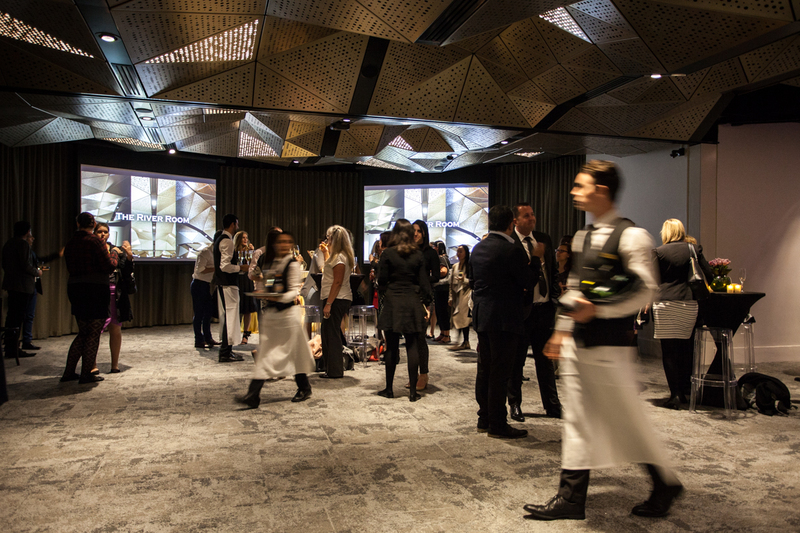 Inside the new space, the most eye-catching feature is a dazzling geometric ceiling, an architecture designed pattern of triangular bronze panels which give a unique, contemporary edge to the classical setting. The flexible space can be adapted to host banquets for up to 120, cocktail soirees for up to 200 and cabaret style events for up to 100. The River Room can also be transformed into a theatre for an audience of up to 200. For smaller functions, a moveable wall can create more intimate spaces, while those planning welcome drinks for their event can take advantage of the curtained cocktail area. State-of-the-art amenities include three high-definition data projectors with built-in wide screens, HDMI connections, touch panel controls, and Wi-Fi availability. The new space will be catered to by the award winning Customs House catering team, with menus to suit any style of event, large or small. A Brisbane icon, Customs House is a highly awarded function venue which has been catering to a wide range of events for over 20 years. The River Room, specifically designed with corporate functions in mind, will provide a contemporary addition to their line-up of exquisite event spaces.